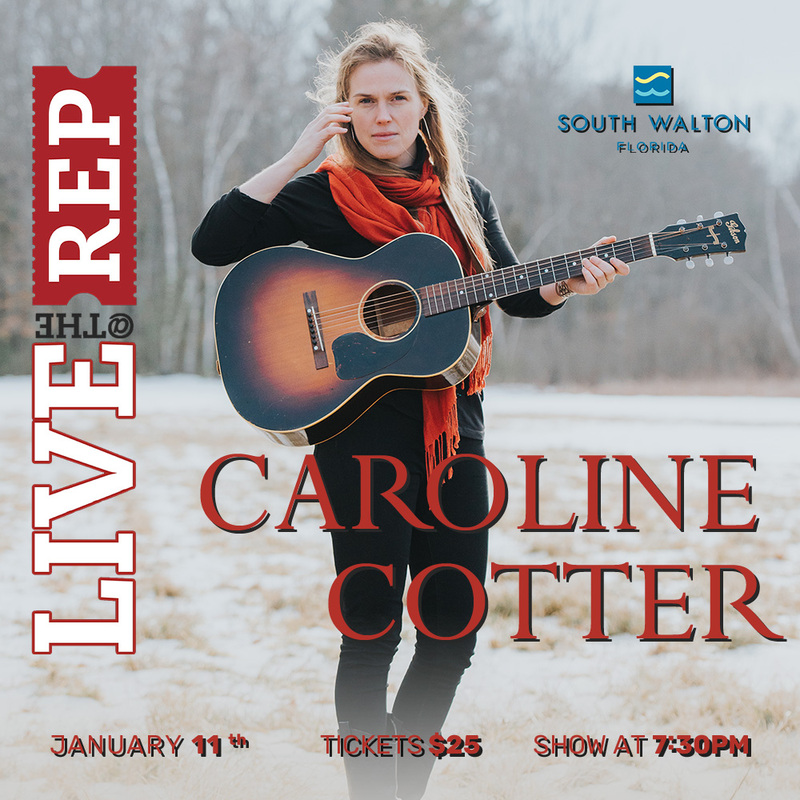 With a captivating soprano voice and award winning songwriting, Caroline Cotter's songs take listeners all over the world and into the depths of the human heart. Since her debut album, "Dreaming as I Do", released and reached #5 on the Folk DJ Charts in 2015, Caroline has performed over 600 shows in 43 states and 12 countries. Currently touring to support her second major release, "Home on The River”, No Depression calls it "sweet and smooth, and downright refreshing... raising spirits with one song, calming them with another." Icon Magazine writes, "Her well-constructed songs bring to mind the early work of Mary Chapin Carpenter.” "Today's folk scene has a new champion, one who encapsulates the sweetness, serenity and sophistication that has always made the genre so affecting in such a timeless manner. In that regard, 'Home on the River' is an absolutely essential record." (Country Standard Time).